Mahogany Fretwork Mid-Century "Modern Tree"
This fretwork is a great addition to a modern office or home. 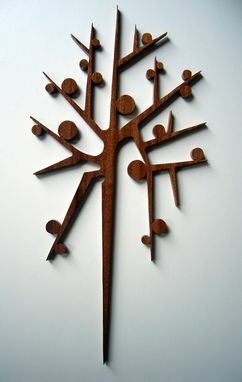 The piece, which is an interpretation of a modern tree, measures 22''x11'' and is 1/2'' thick. It is made of mahogany hardwood that has been coated for lasting protection. 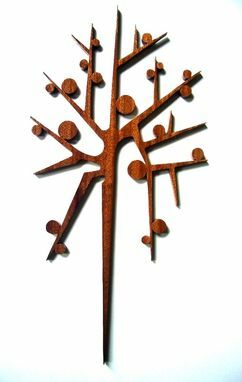 The fretwork has a bracket attached on the back for hanging.